Douglas H. Clark, Jr. is a shareholder and skilled senior trial attorney with extensive civil and commercial litigation experience. AV Peer Review rated by Martindale-Hubbell, he handles complex civil cases involving personal injury, malpractice, commercial contracts and real estate transactions. 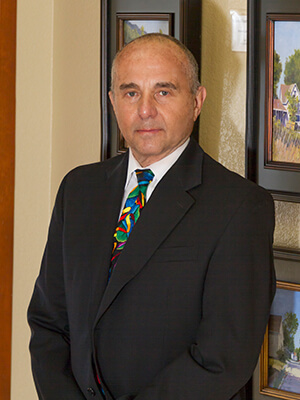 Doug graduated from the University of Arizona College of Law in 1966, and has been in private practice with the firm since. Doug was admitted to the U.S. Supreme Court in 1971 and the Ninth Circuit Court of Appeals in 1972. He is a member of the Pascua Yaqui Bar Association and has been admitted to practice in the Pascua Yaqui Tribal Court. He is also a member of the American Board of Trial Advocates, the National Board of Trial Advocacy, Arizona Trial Lawyers Association and Association of Trial Lawyers of America. He has been active in the American Arbitration Association as an arbitrator and has served as Judge Pro Tempore for the Pima County Superior Court. He is listed in the Best Lawyers in America, American Trial Lawyers Association Top 100 Trial Lawyers, Southwest Super Lawyers, Arizona’s Top Lawyers, Tucson’s Top Lawyers and is a member of the Million Dollar Advocates Forum, which is limited to trial lawyers who have demonstrated exceptional skill, experience and excellence in advocacy. Doug is a native of Arizona, and an avid handball player. He previously coached trophy-winning youth volleyball teams and developed several successful athletic clubs. He is active in developing youth handball programs for young people who are “at risk.” He is also a board member of We Play Handball (WPH) 501(c)(3), an organization developing youth through the sport of handball.